Does Cardio on an Empty Stomach = Greater Calories Burned? There are a few reasons people vouch for this theorys. First, your blood sugar is low which means your insulin levels are low (insulin is a storage hormone and facilitates fat storage if you don’t need those calories for energy). Plus, some people believe that exercising first thing speeds up your metabolism for the rest of the day. Fat burning needs to be considered over the course of a day, actually days, not only during one exercise session. Say you burn carbs during your workout, then your body will likely burn fat post exercise or later in the day. HIIT, high intensity interval training, has proven to be one of the best ways to shed fat. Yet, during this high intensity exercise, you are actually burning less fat which indicates that again, the whole day, or course of days matters the most. Well designed clinical trials in endurance-trained athletes show that a pre-exercise meal does not impair fat oxidation during exercise. If you exercise in a fasted state you probably won’t be able to train at the same intensity as you would if you had a pre-exercise meal. Greater intensity = more calories burned. For all of the reasons outlined above, keep in mind that the best time of the day to exercise is the time that fits in your schedule and works for you. If you love to exercise first thing in the morning, go for it! Obviously it has it’s advantages since the rest of your day is free and you won’t skip out on an after-work workout in favor of a last minute happy hour. Plus, working out in the morning may get you “up” for the rest of your day, helping you feel like you’ve accomplished something and your body is both alert and ready to tackle anything that comes your way. However, don’t sweat it if you exercise in a non fasted state. After all, you should notice a huge difference in the quality of your workout. 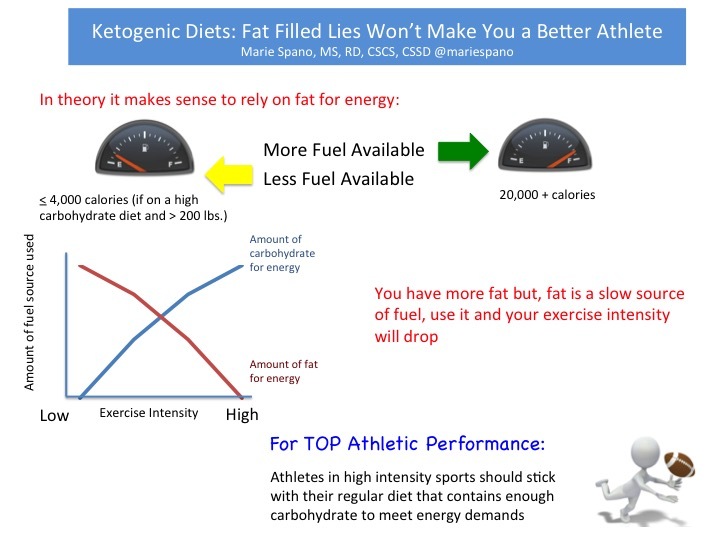 Posted on October 19, 2011 Categories UncategorizedTags brad schoenfeld, burning fat, calories, cardio, fat loss, losing weight, Marie spano, Nsca, overnight fast, Strength & Conditioning JournalLeave a comment on Does Cardio on an Empty Stomach = Greater Calories Burned? Dietary Fat Intake – Does it Affect Weight? 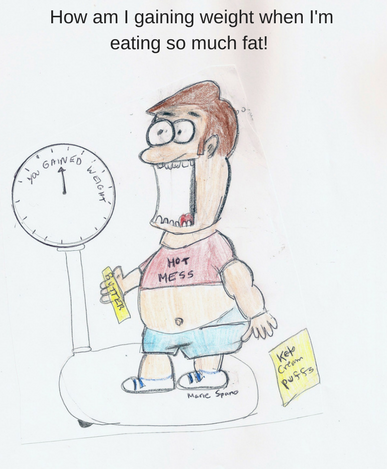 The following advice has become a mantra engrained in our society’s battle of the bulge: “If you want to lose weight and improve your health, eat a low fat diet”. And for years I bought into this during the carb-frenzy fat-free 1990s. But then I entered graduate school and started reading the research (and I was just plain hungry all the time). A low fat did work for many people who were obese or overweight because cutting fat meant they cut calories and therefore dropped weight. And for those with cardiovascular disease risk factors, slashing the fat in their diet automatically meant a decrease in bad fats so their cholesterol levels improved. It shouldn’t come as a surprise that taking someone off fried foods and partially hydrogenated snack foods will improve their cholesterol levels. This study did have some drawbacks. After all, food frequency questionnaires are limited, they only analyzed fat intake at one point in time and not over time and they didn’t examine data on trans fat intake. After all, this wasn’t a clinical trial in rats (the most compliant subjects ever) where they could manipulate variables and see if people grow or shrink in size. These results are different than those from some other studies but overall, the research is equivocal on the subject of fat and weight. 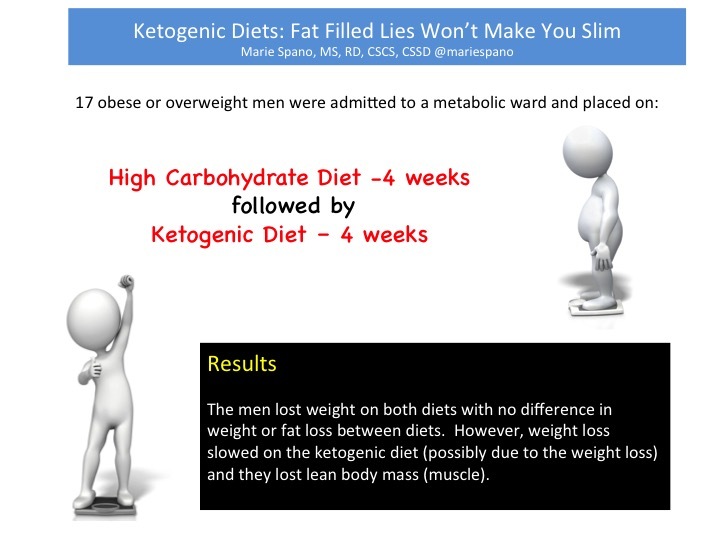 A review of 9 studies examining fat and weight change found 3 studies found a positive association between type of fat and weight change, 3 found no association and the last 3 reported negative association. What’s the bottom line? Eat your fat, but choose healthy fats (fish fat, nuts, seeds, oils) and avoid partially hydrogenated oil (man made trans fats) and if you have heart disease risk factors, watch your saturated fat consumption too. Posted on January 5, 2010 Categories fat loss, Uncategorized, weight loss, weight maintenanceTags diet, fat, fat loss, Marie spano, weight, weight management1 Comment on Dietary Fat Intake – Does it Affect Weight?